Sorry for not posting much lately, but deadlines are approaching and my various projects have all culminated to be due now. After submitting our manuscript on race, gender and the body in British immigration control to Palgrave Macmillan the other week, we have been given positive feedback by the series editors and the book will be going into production shortly – which means submitting all the necessary forms and other materials. At the same time, a very awesome book series has asked for draft chapters on my research into the CPGB and anti-racist politics – which means compiling and sending off stuff ASAP. 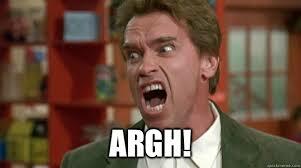 Also, I have found out that I can apply for a DECRA – which means writing a large grant proposal by early March. And finally, I am off to South Africa in late March – which means I need to be contacting various archives and people prior to my arrival. I promise I will post something interesting and very witty in the near future. 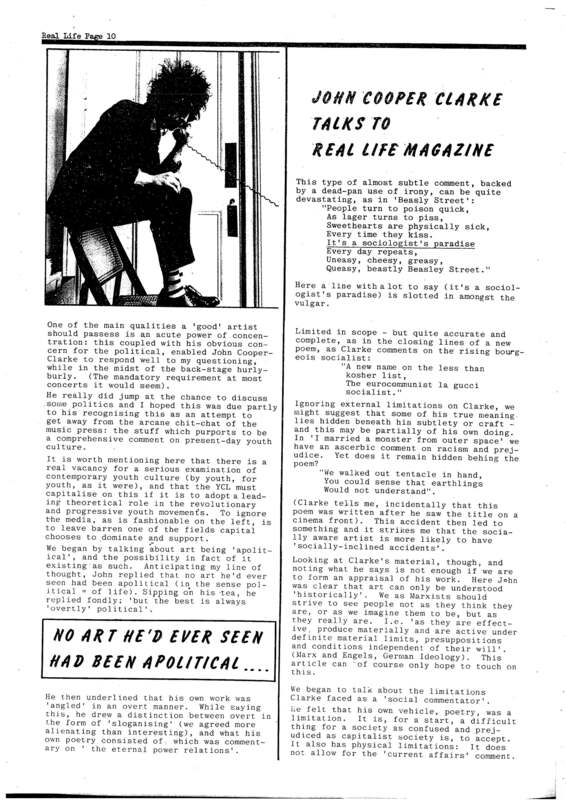 Real Life was a short-lived magazine produced by the Young Communist League during the early-to-mid-1980s and with the tagline of ‘the theoretical and discussion journal of the YCL’, it looks like it was the 1980s version of the 1960s/70s YCL mag, Cogito. 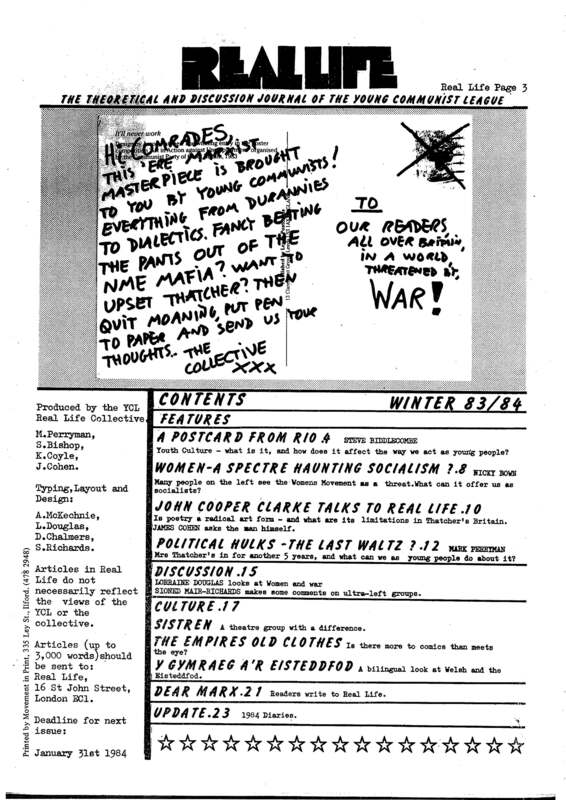 The contact address was the CPGB/YCL offices on St. John Street in London, so it looks as though Real Life was aimed at national distribution, unlike other YCL journals, which were photocopied and distributed at district level around the same time. 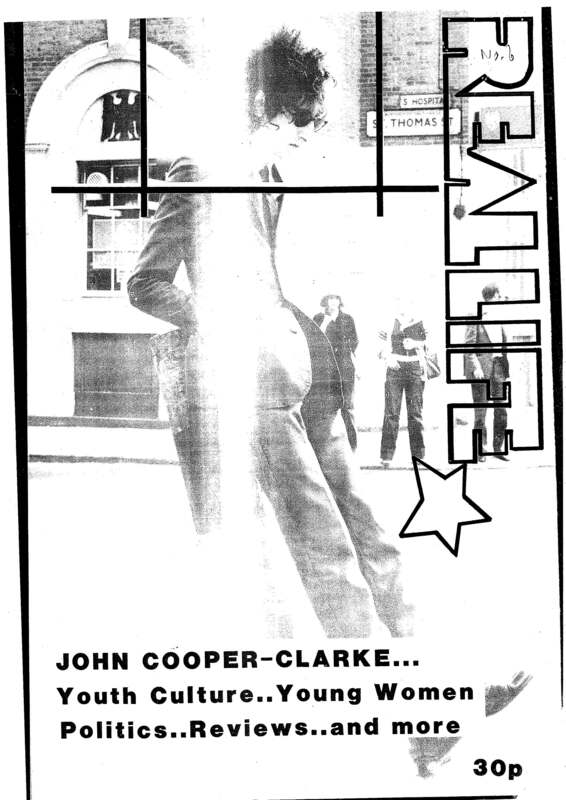 However the reach of the magazine was probably limited because, as discussed in this article, the YCL was collapsing in the 1980s. This article explores how British immigration control policy was carried out during the nineteen-seventies to filter immigration, while addressing the perceived problem of ‘non-white’ colonial migration. Recently released government documents suggest that the immigration control system should be viewed as a series of inter-connected institutions and actors that operated under the influence of a number of different, and often contradictory, factors. The result of these competing factors was an immigration control system that, relying on the paradoxical whims of the government and other sections of civil society, was restrictive and suspicious towards potential migrants, but at the same time constrained in its behaviour. This article is part of our wider project on the body and border control between the 1960s and the 1980s, of which we just submitted a monograph manuscript to Palgrave Macmillan. Marinella and I started this project in 2008 and are excited to see the results of our research. As usual, if anyone is not able to access the article from the interweb, email me and I can send you a copy. The first two episodes of the SBS documentary Persons of Interest have been aired, portraying to a wide audience the level of surveillance undertaken against potential ‘subversive’ people in Australia by ASIO between the late 1940s and late 1970s. The documentary, by Hadyn Keenan, uses a lot of recently opened ASIO files from the National Archives of Australia, many of which were opened via Freedom of Information (FOI) request by the people surveilled. Many of these files have also been digitised by the National Archives and are available for public reading. Using the new features of the NAA website, I have posted the links to a few files relating to the people discussed in Persons of Interest. There are also numerous digitised files on Roger and David Milliss, although the file on Suse Milliss has not been digitised. There are also more than 15 files on founder of the Communist Party of Australia (Marxist-Leninist), Ted Hill, that have been digitised, as well as one on the CPA (M-L) from 1968. Bob Gould was another CPA member mentioned in the documentary whose files have been digitised. There are many files on the CPA that have been digitised, but coinciding with the forthcoming episode of Persons of Interest on the Aboriginal rights movement, here is a file on the CPA’s work on Aboriginal rights. ASIO kept tabs on the Aboriginal rights movement, particularly those involved in the founding of the Aboriginal Tent Embassy in January 1972, including activist Gary Foley. But nearly all social movements that arose in the 1960s and 1970s were surveilled, including the anti-Vietnam War campaign and the Anti-Apartheid Movement. Prominent activists from these campaigns and other movements/groups were surveilled, with massive files created by the day-to-day following of these activists. A number of these have been digitised in recent years following FOI requests. 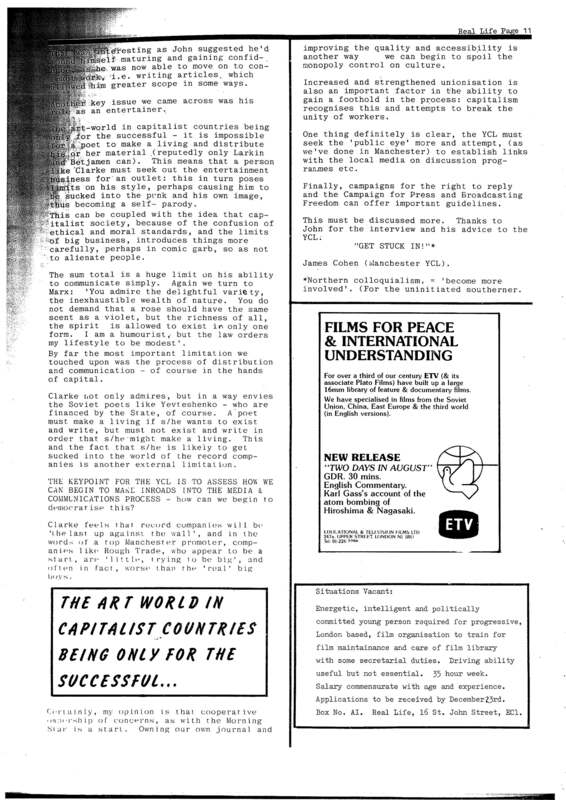 These include the Burgmann sisters, Meredith and Verity, who were involved in the Anti-Apartheid Movement and the campaign against the Springboks in 1971, as well as Rick Kuhn, a leading member of the Australian Trotskyist group, the International Socialists (following the Cliffite IS/SWP from the UK), and CPA youth member (and future Professor) Ann Curthoys. These are only a few of the many digitised ASIO files that people can access through the NAA catalogue. It is worth having a search for other well-known activists. If the files has been digitised, you can view it on the NAA’s new file-viewer, SODA. There are a few others that I haven’t posted, but 10 is a neat, round number. I hope I get to read them all. When I posted a similar list in 2012, I ended up only reading four or five of them. But there’s still time! 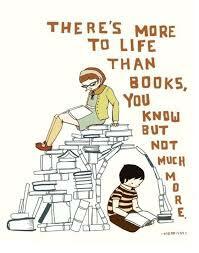 So readers, what books are you looking forward to reading this year? Are there any books that I really should be reading? Hello everybody. I’m massively busy working towards a deadline, getting the book on the body and border control ready for submission this week. But rather than not post anything, I thought I’d post this quote that we use in the introduction to our book. It is from Kristen Phillips’ 2009 PhD thesis, ‘Immigration Detention, Containment Fantasies and the Gendering of Political Status in Australia’ (downloadable here). Here’s to book draft submission! That is all, Mr Gove. Now should we discuss historical fidelity and Inglorious Basterds?